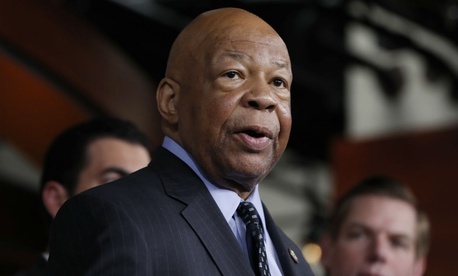 House Democrats are calling for hearings on what they call the Trump administration’s “degradation of the federal workforce,” complaining federal agencies are conducting their White House-mandated reorganizations with little transparency or oversight. Eighteen Democrats on the House Oversight and Government Reform Committee requested an increased spotlight on the administration’s efforts in a letter to panel Chairman Rep. Trey Gowdy, R-S.C., including by obtaining copies of the reform plans agencies submitted to the Office of Management and Budget last month. OMB set the deadline for the plans, which include short and long-term plans to reduce agency workforces in addition to broader reform proposals, in a memorandum that followed an executive order signed by President Trump in March. Agencies and OMB will finalize those plans when Trump sends his fiscal 2019 budget proposal to Congress next year. The plans and corresponding restrictions on hiring that have continued at many agencies across government even after Trump lifted the federal hiring freeze in April are causing massive staffing shortages and harming national security and wellness, the Democrats said, all without congressional approval. The committee members called on administration officials to testify in a public hearing and to submit their plans to Congress. A panel of the Senate Homeland Security and Governmental Affairs Committee has held two hearings on the reorganization efforts, but the House has yet to hold any. Democrats accused the Trump administration of overriding Congress’ constitutional authority by unilaterally deciding not to spend funds for purposes for which lawmakers had allocated them. The lawmakers specifically noted negative impacts on the departments of State and Health and Human Services, as well as the Environmental Protection Agency. The Trump administration has given mixed messages on its implementation of Trump’s executive order and OMB’s memo, with the Office of Personnel Management suggesting it is working with agency leaders to implement layoff plans but agencies themselves saying they are not focusing on workforce cuts. Some agencies have already started eliminating or consolidating offices. Agencies have pledged transparency and an open dialogue with their employees to keep them informed of their plans, but they have mostly declined to distribute them publicly or even internally. OMB has said it will not release agency plans until it submits the fiscal 2019 budget request to Congress. Several agencies have already spelled out their plans to cut their workforces through buyouts, early retirement incentives or natural attrition. A spokeswoman for Gowdy did not immediately return a request for a response to the Democrats’ letter.